What does Hipraspray® give us that other devices already on the market do not (Part 1)? The coccidia vaccine is a suspension of different Eimeria oocysts that are present in the formulation, so they are not distributed homogenously within it and without constant agitation they tend to form a sediment at the bottom of the container during the course of vaccination. This is why it is considered essential to incorporate a stirrer in the Hipraspray® machine that ensures constant homogenisation of the vaccine. 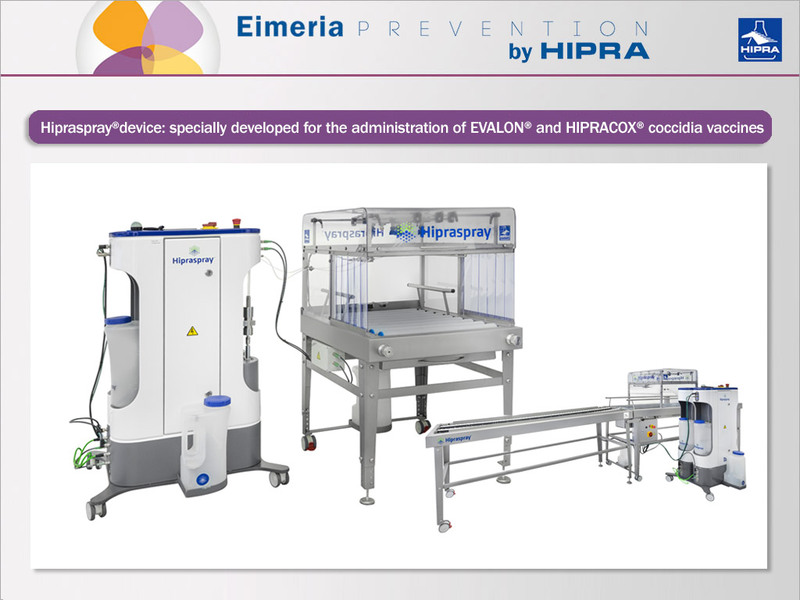 In its semi-automatic model, Hipraspray® is able to calibrate up to 5 different types of box, adapting the speed of the convoy to the pressure and volume of the circuit, so that it recognises the size of the different types of box and automatically regulates the speed at which the box passes below the spray booth, with the vaccine being administered from the start to the end of the box, thereby covering its entire surface. This calibration is also automatic, thereby reducing to a maximum handling by hatchery personnel and the time spent calibrating and adapting the spray volume to the size of the box. In a forthcoming post, we will continue discussing other substantial differences compared to our competitors, including traceability of the vaccination process created by HIPRAlink.